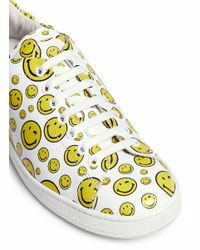 See more Joshua Sanders Sneakers. We check over 450 stores daily and we last saw this product for $313 at Lane Crawford. 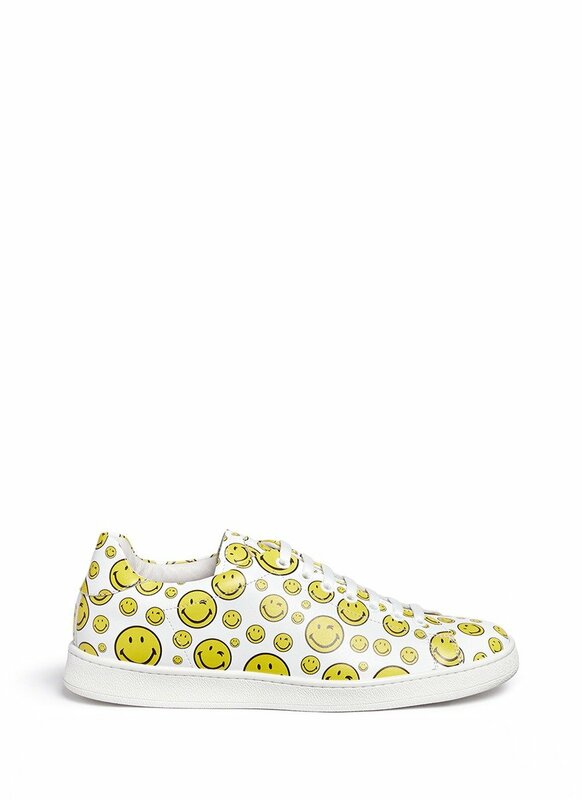 Adorned with an all-over smiley face print, these Happy Smile sneakers by Joshua Sanders will transform your casual wardrobe. 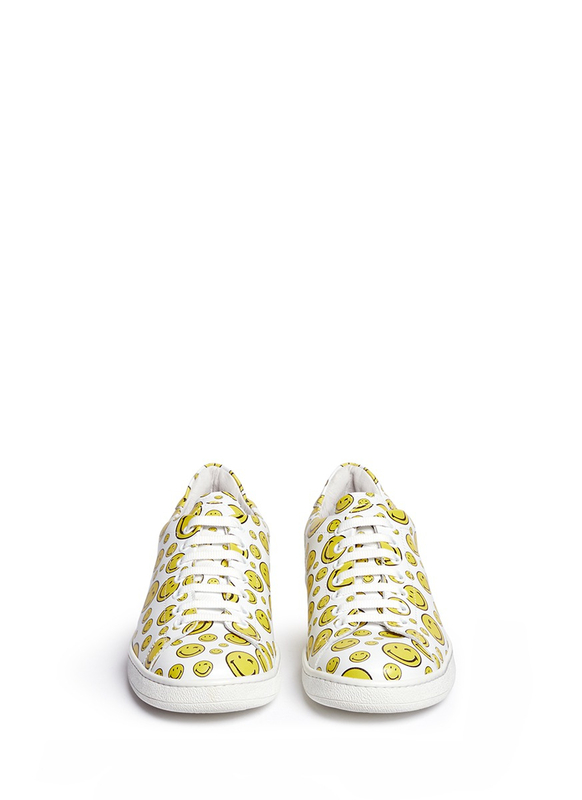 In a cool white and yellow colorway, these low-tops are finished with a lace-up vamp, round toe and vulcanized rubber sole in white. Wear yours with a simple pair of jeans and a chunky fluffy sweater.